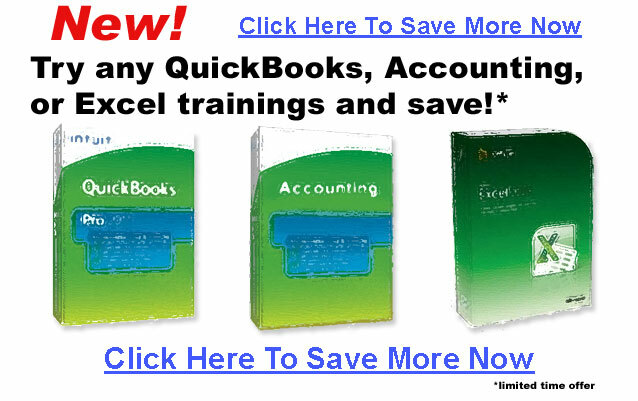 The Easiest Training To Master Quickbooks. Guaranteed! Start today by building a SOLID foundation in QuickBooks with our Quickbooks Training programs. Learn through hands-on practice training exercises and train at your own pace (Quick Books Training at your home or office). You can even attend one of our live training seminars over the web or in a city near you. Creating a new company file. The shortcuts to reconciling your bank account... and what to do if they don't! Pro tips on purchasing and managing your inventory. The REAL ways QuickBooks can help you save time. How to void checks instead of accidently deleting them. How to keep security simple and the best ways to coordinate "need to know" information among multiple users of different roles. How to set up and use payroll so it isn't a miserable nightmare. Time tracking for employees and subcontractors without frustration. The fastest way to close your books. How to properly handle tricky situations like NSF checks, and automatic bank transactions. What are the most powerful keyboard shortcuts every Quick Books user should know? How to never fear tax season again! Start today by building a SOLID foundation in QuickBooks with our Quickbooks Training and Quickbooks Seminars. 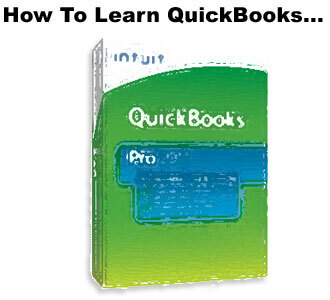 Learn fast with our Quickbooks Classes, Online Quickbooks Courses, and Web Based Tutorials.. Learn through hands-on practice exercises and train at your own pace (Quick Books Training at your home or office). You can even attend one of our live seminars over the web or in a city near you.